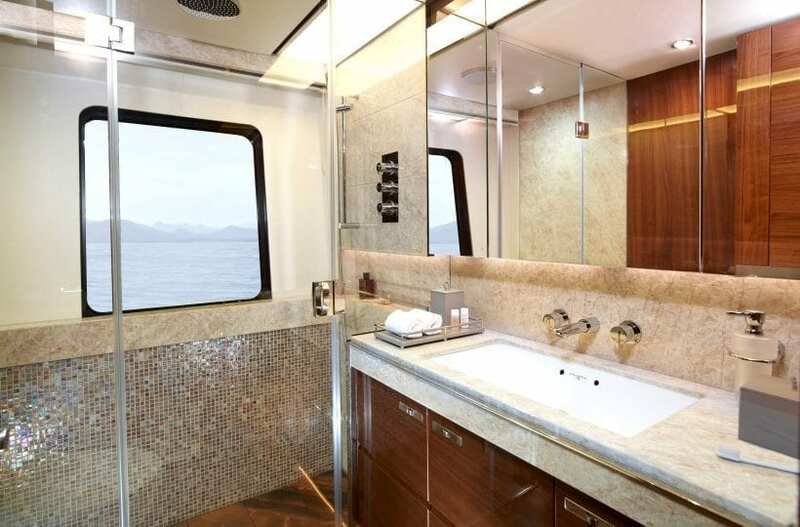 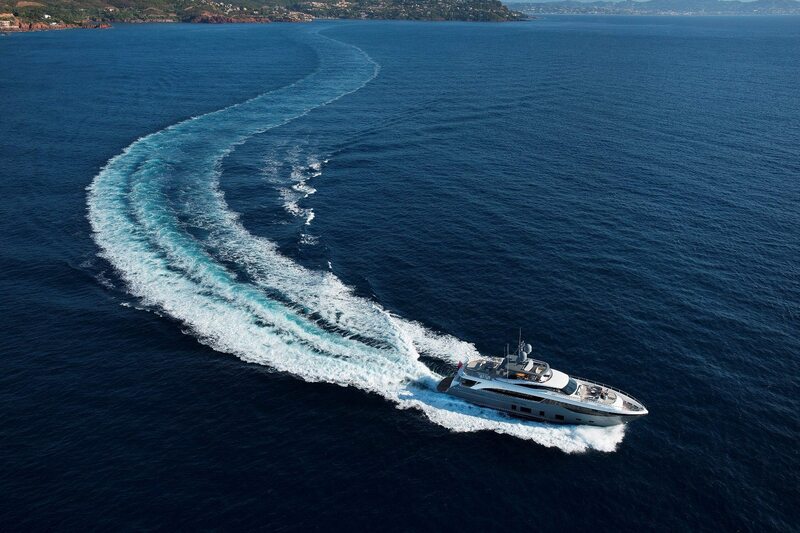 This semi-custom motor yacht is as capable of long range low speed cruising as it is of high speed port hopping. 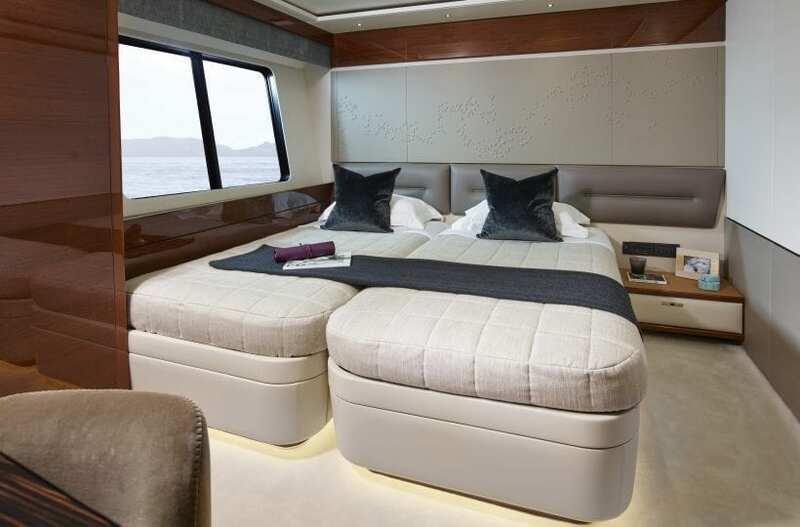 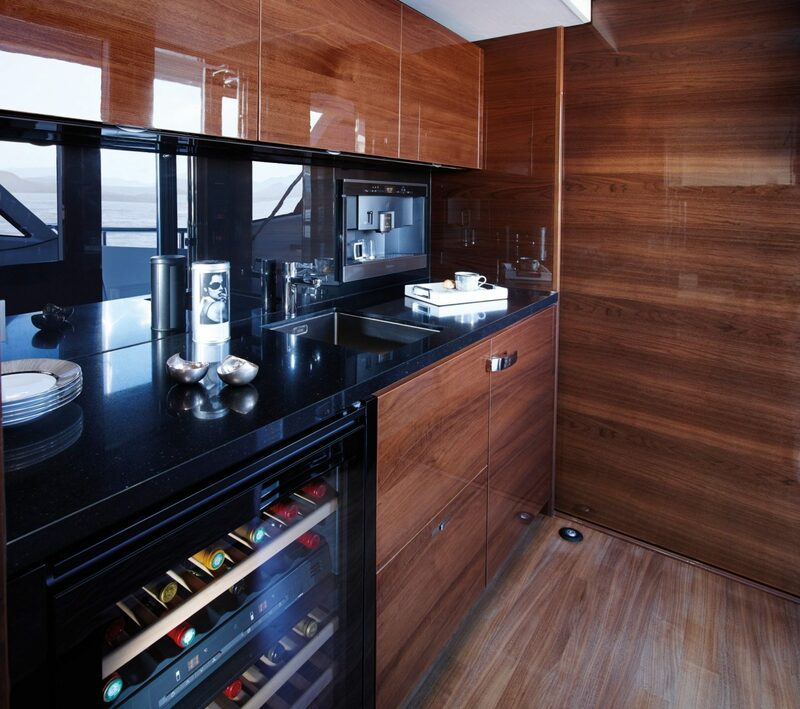 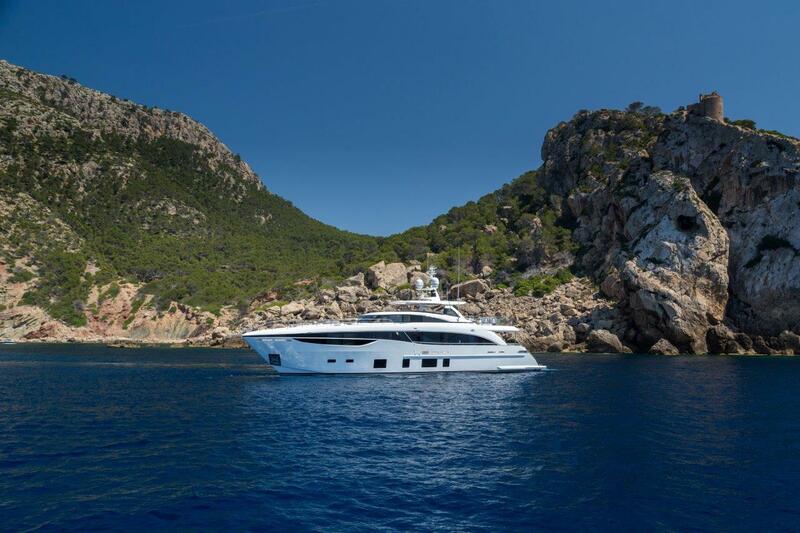 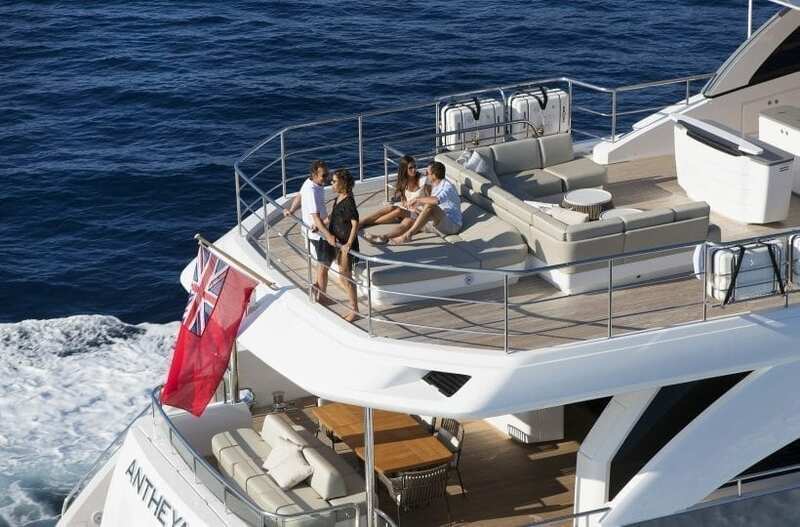 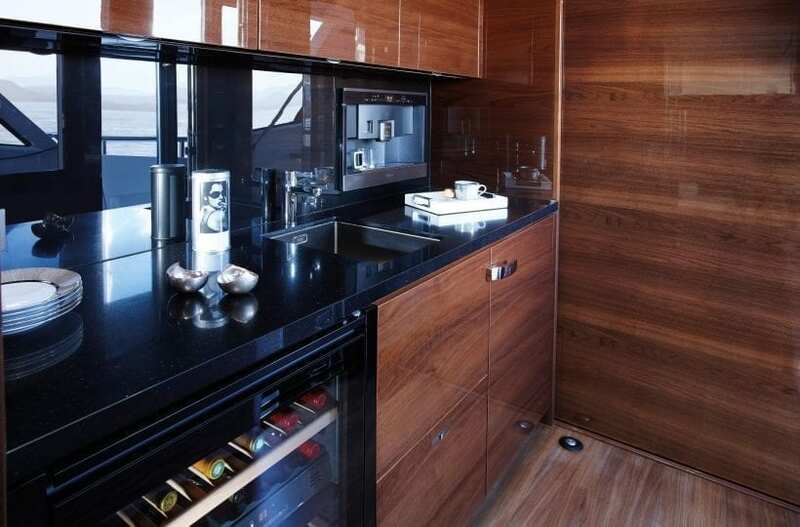 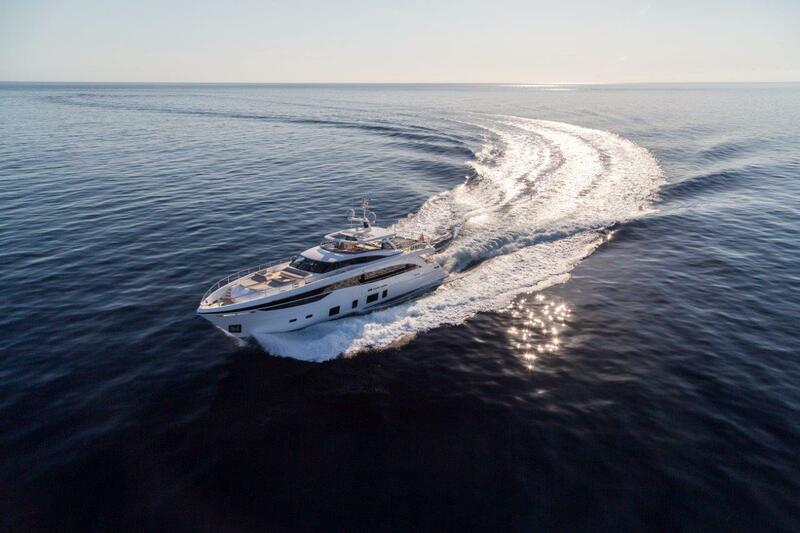 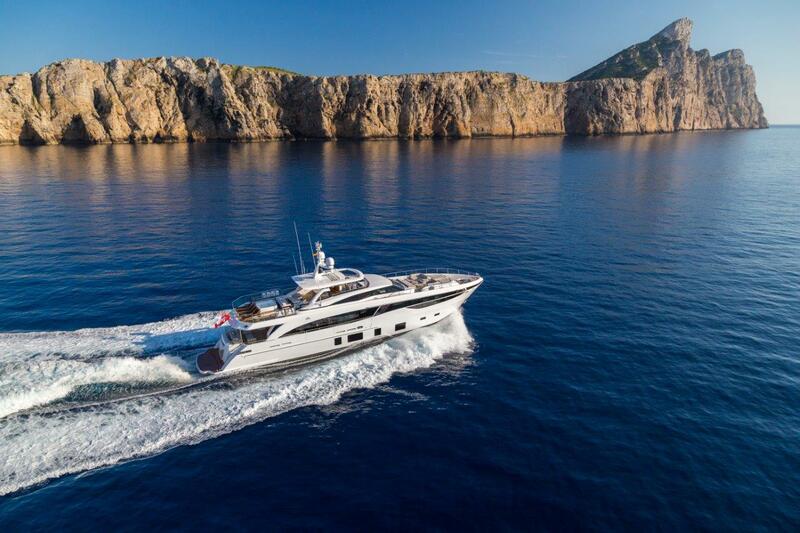 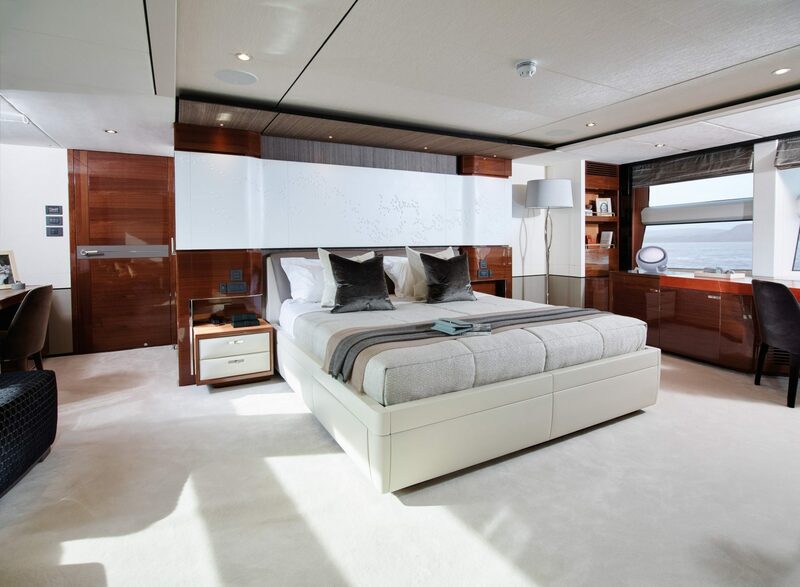 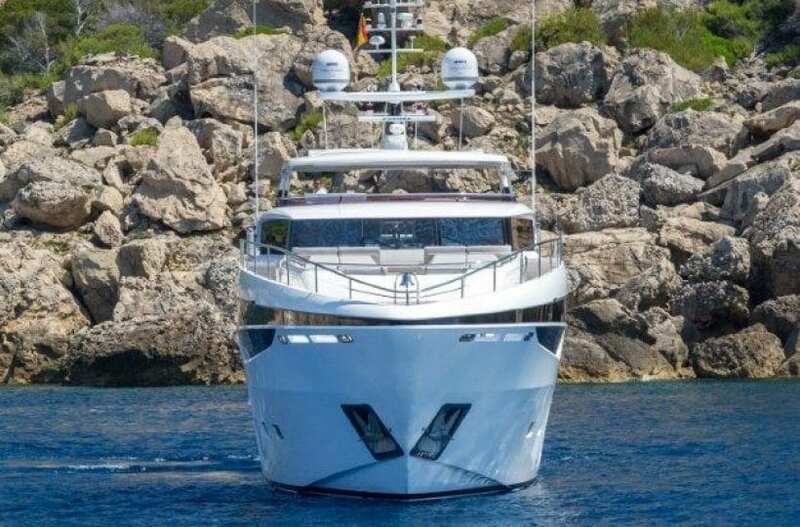 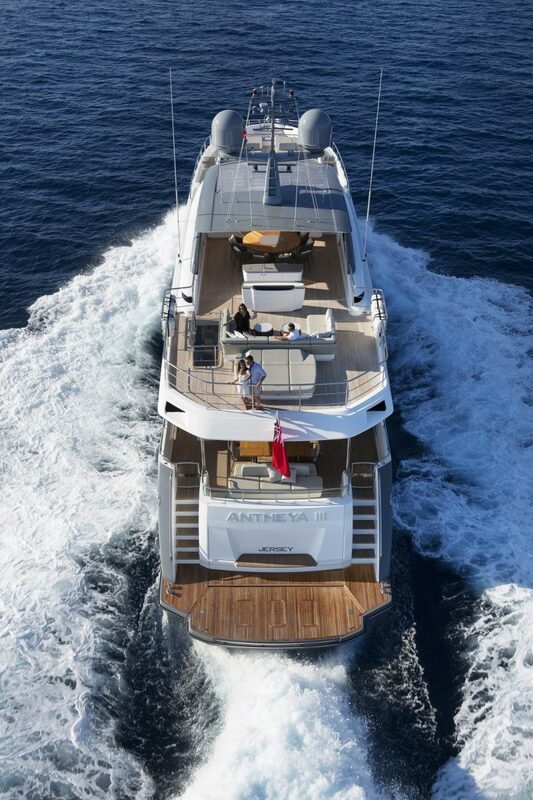 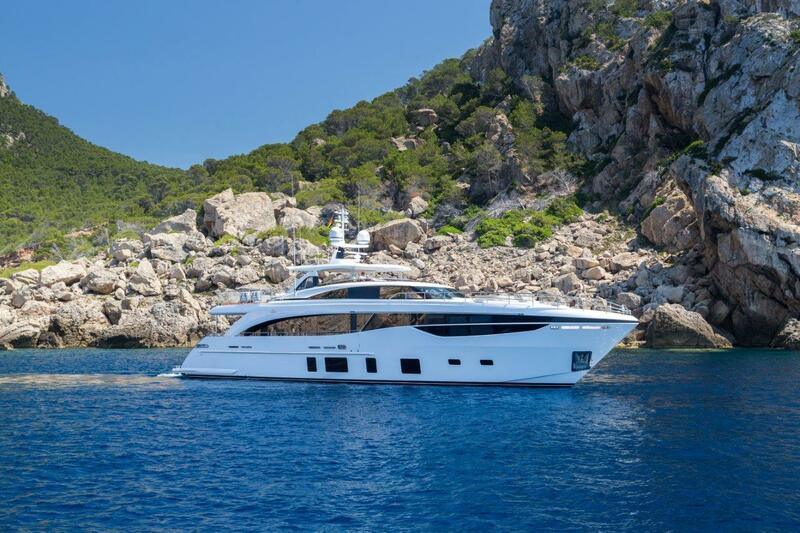 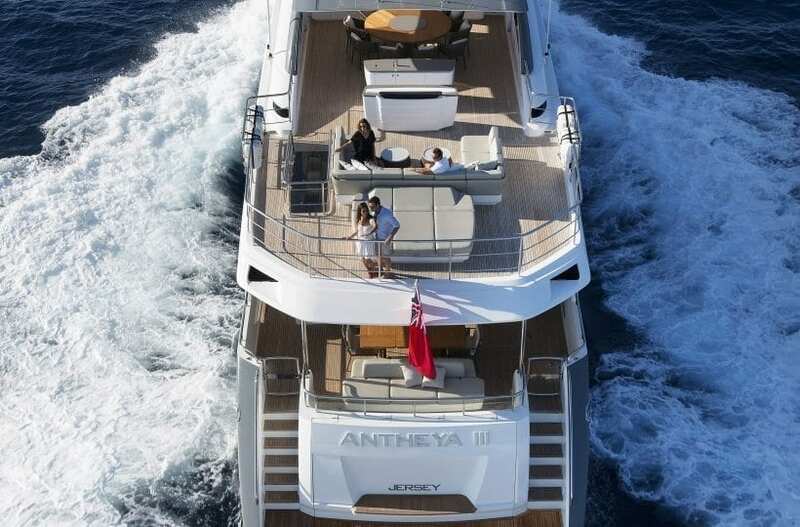 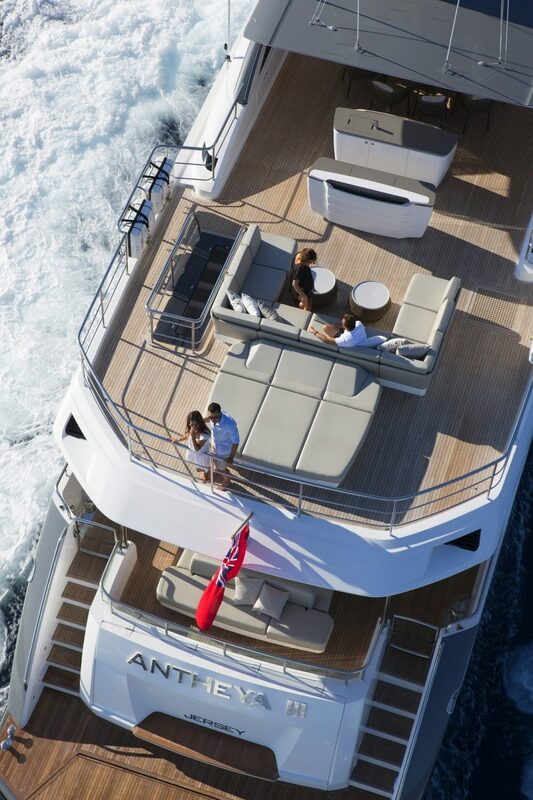 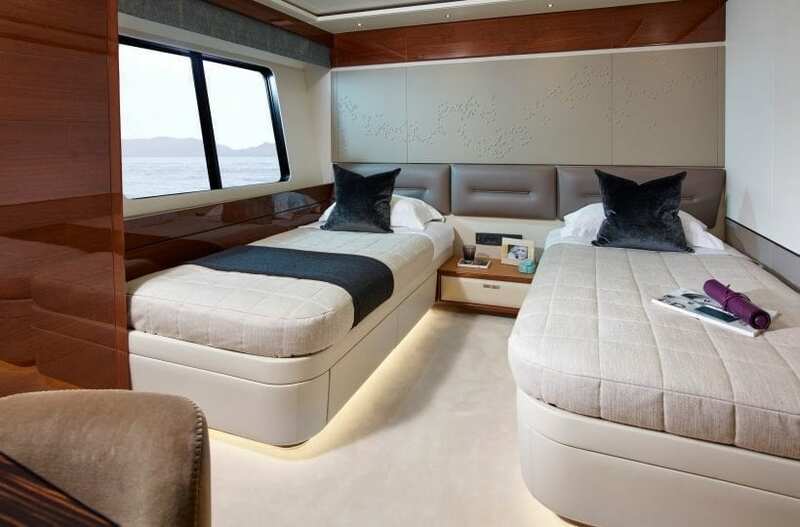 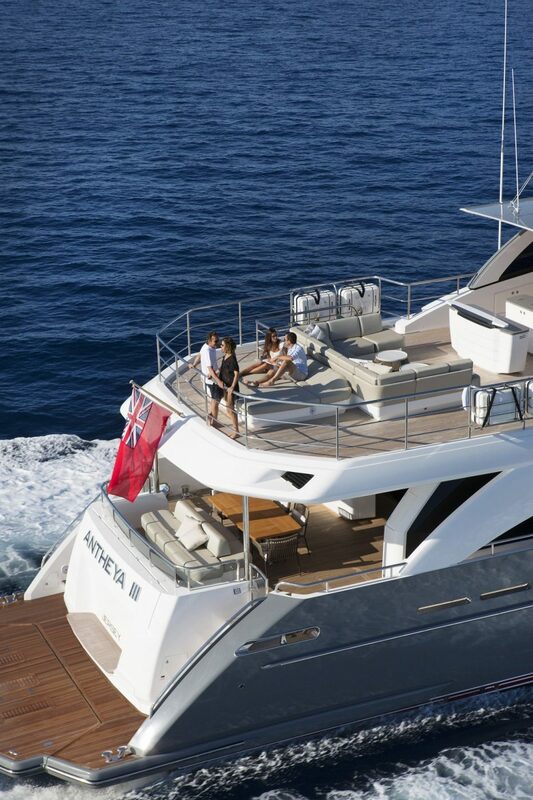 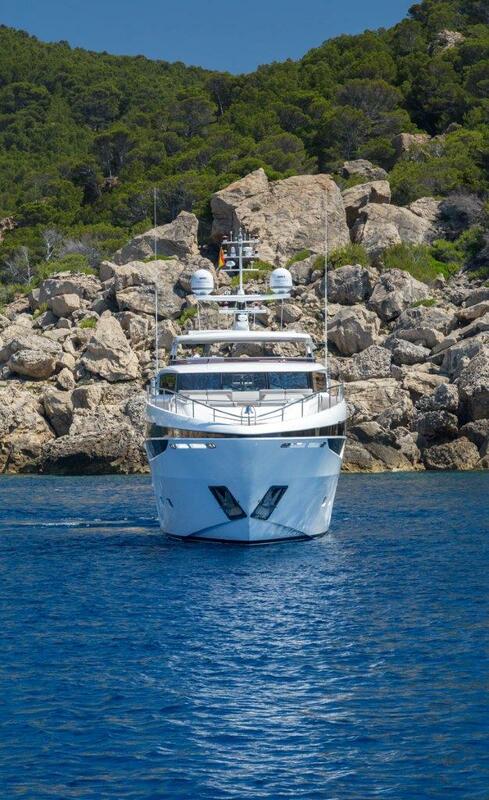 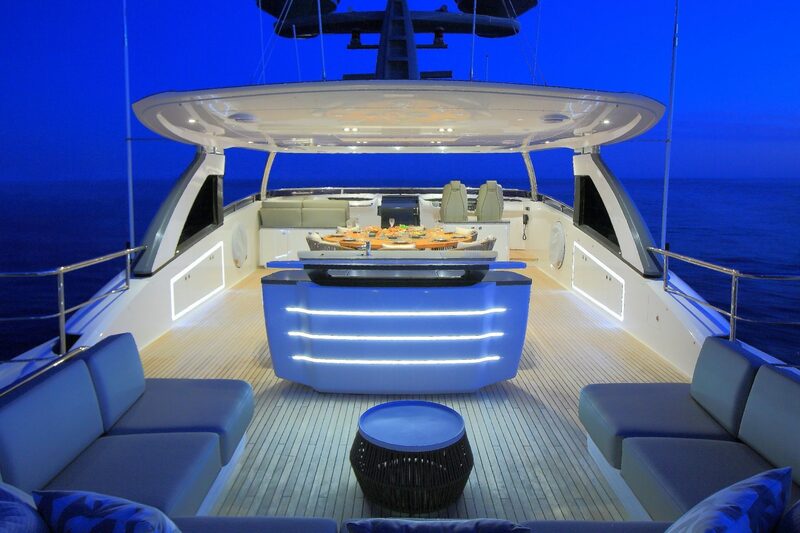 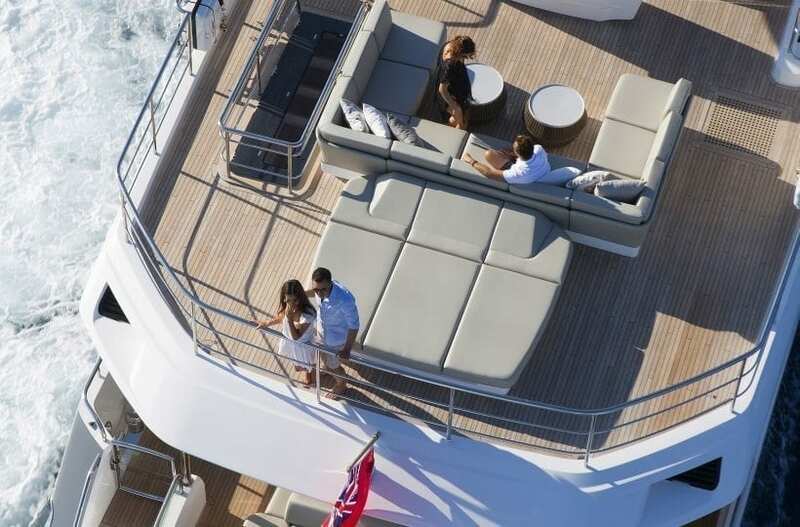 The 35M offers a choice of internal layouts as well as three huge dedicated outside social arenas. 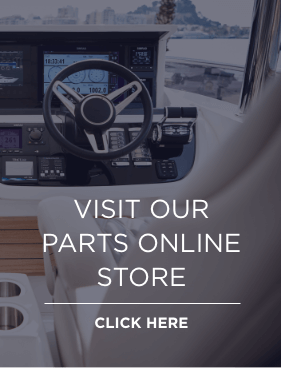 Resin infusion and Princess engineering standards take her to the front of her class. 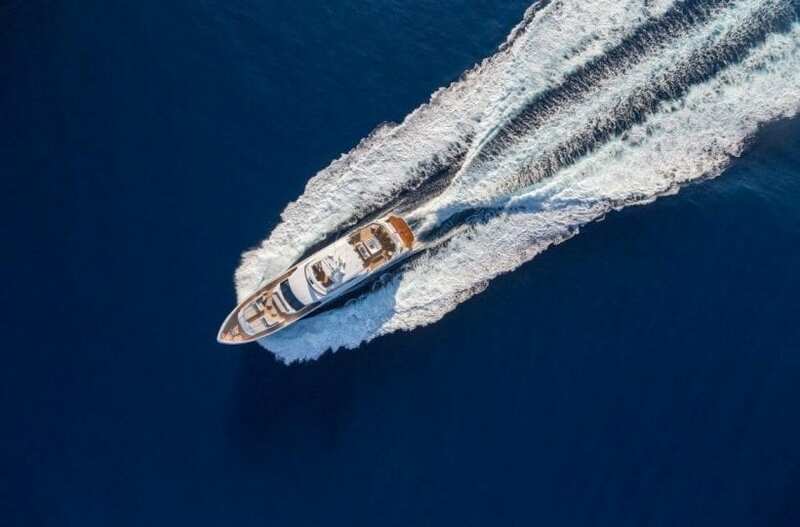 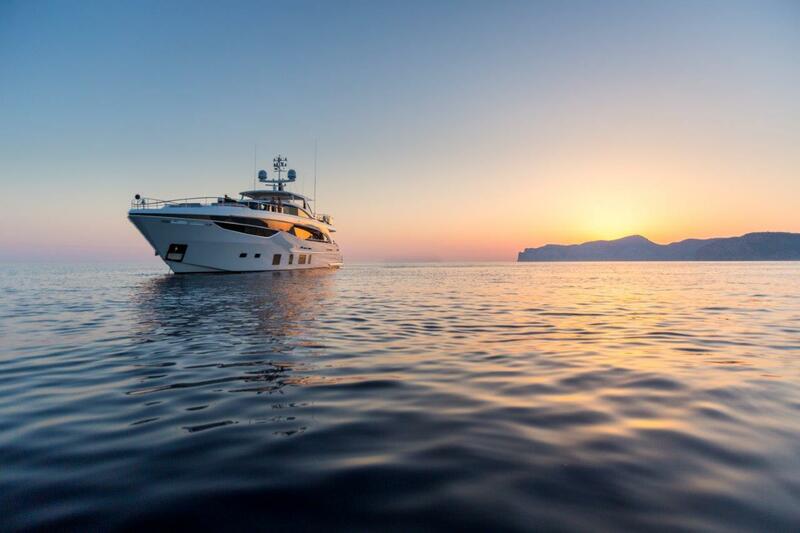 Following on from the global success of our flagship luxury superyacht, the Princess 40M, the Princess 35M is a semi-custom superyacht capable of cruising both at high and low speeds with an impressive long range and outstanding efficiency, while providing expansive deck areas and comfortable and spacious accommodation for owners, guests and up to six crew. 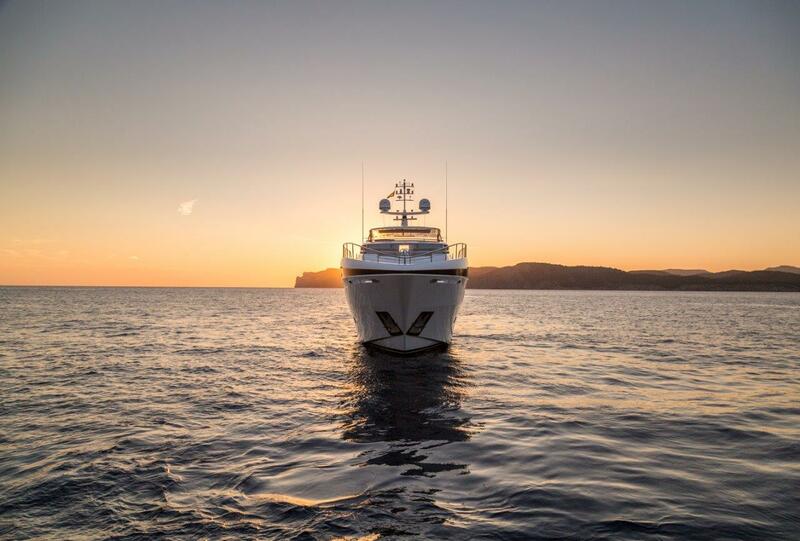 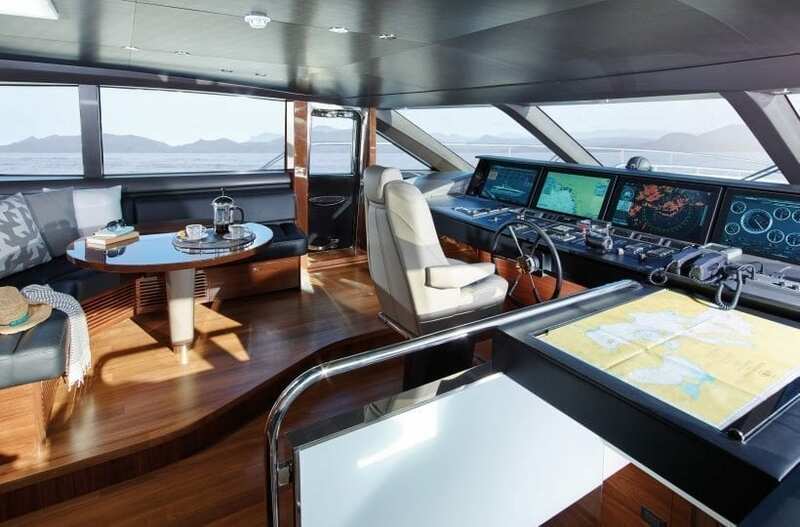 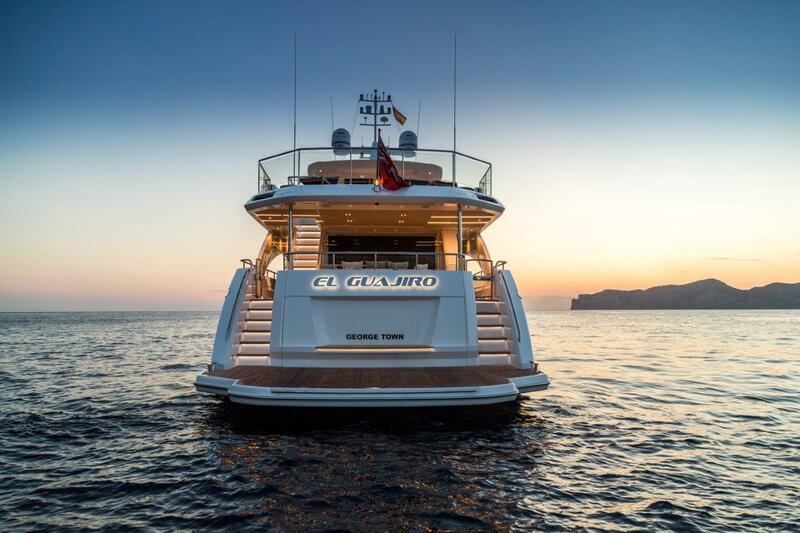 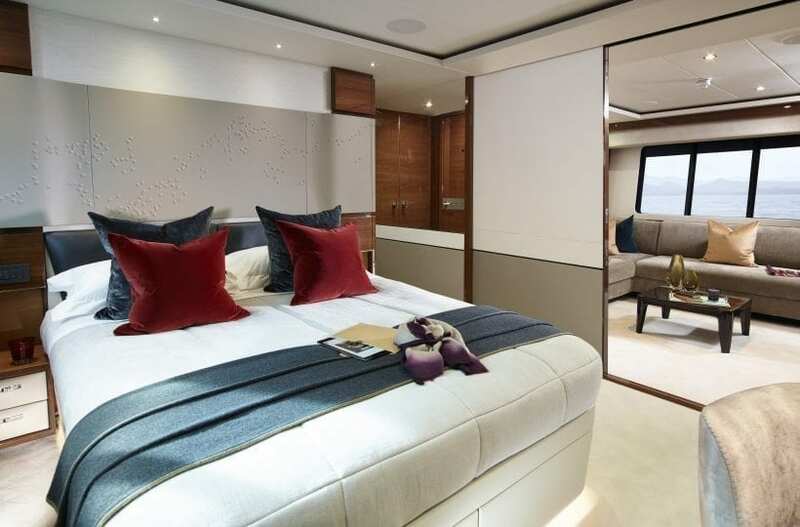 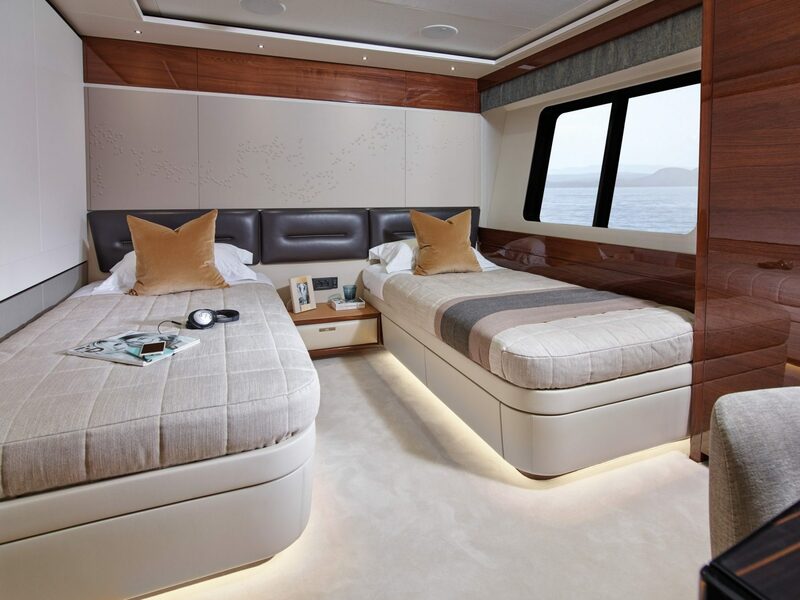 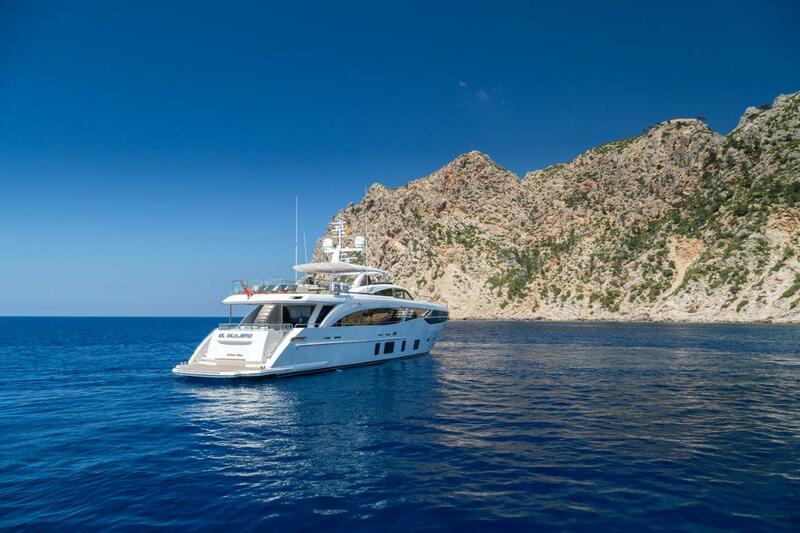 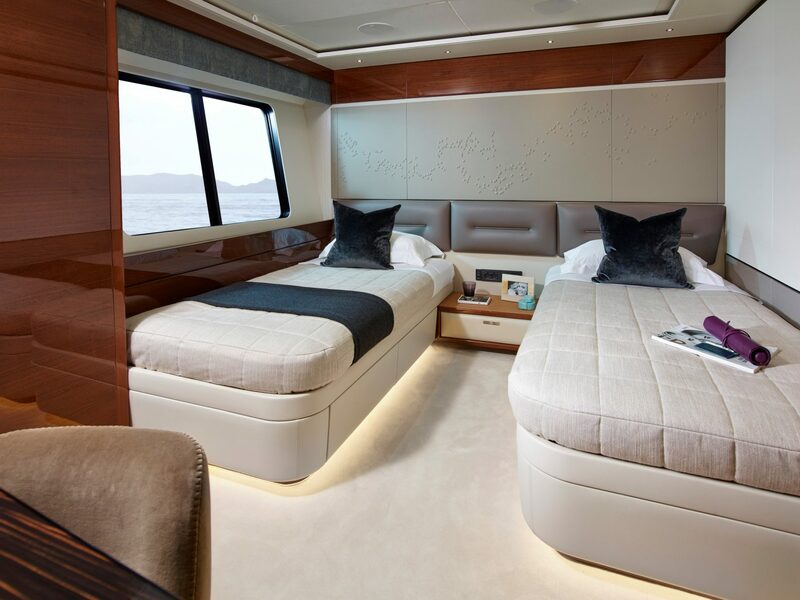 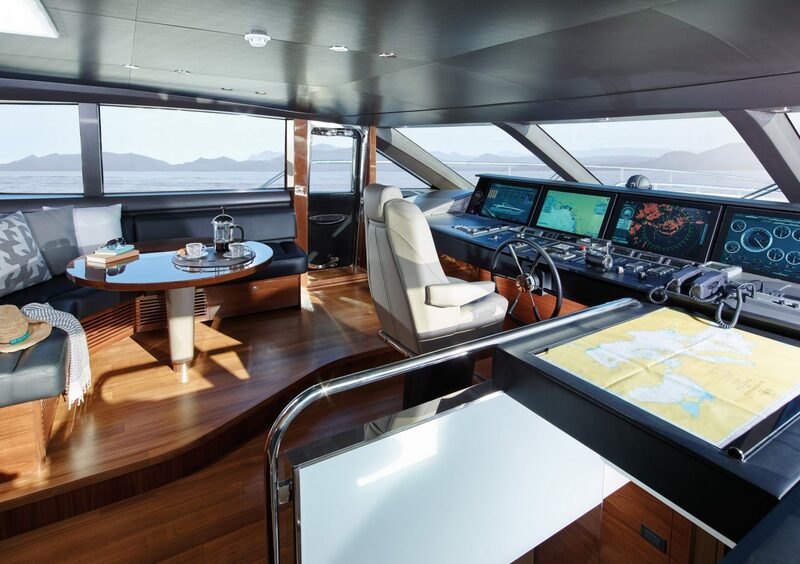 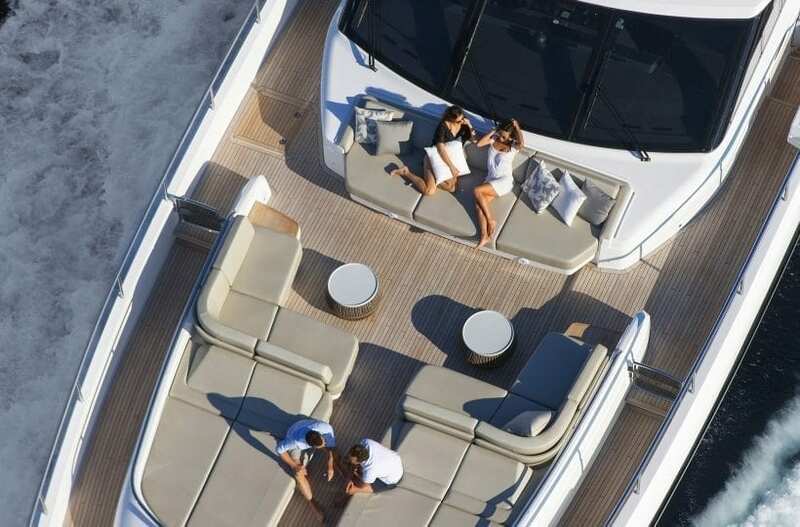 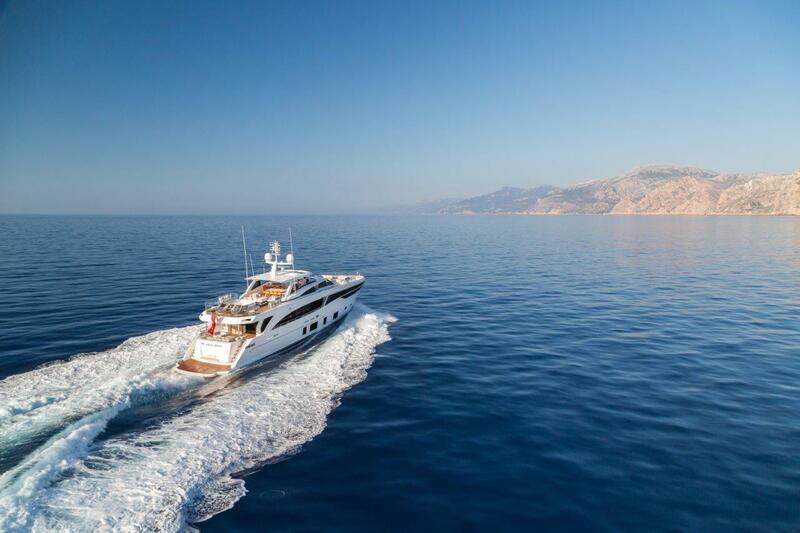 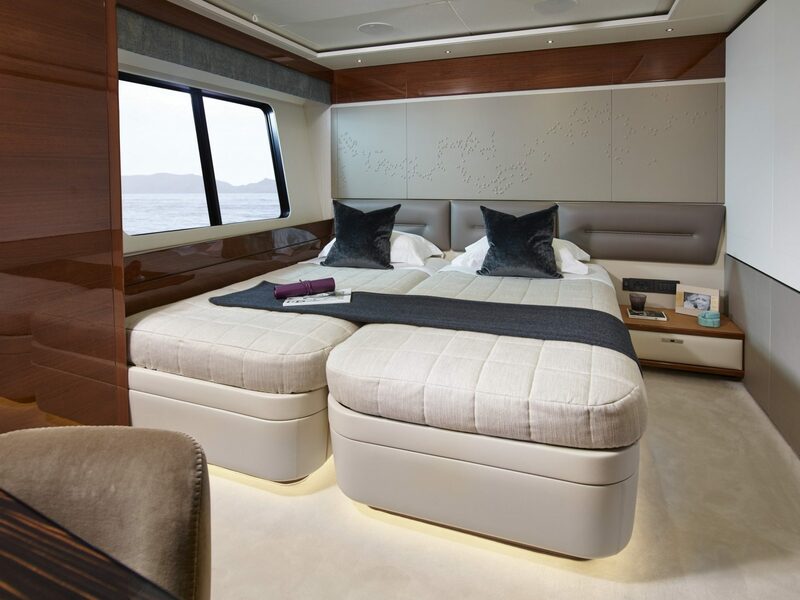 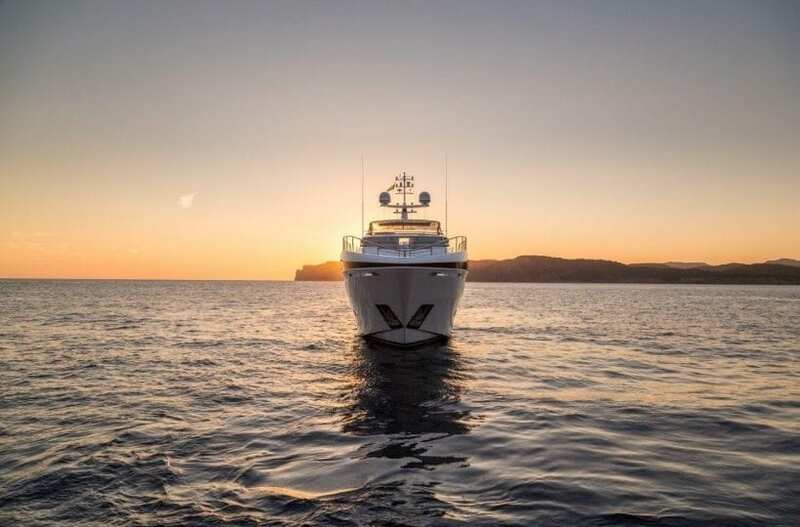 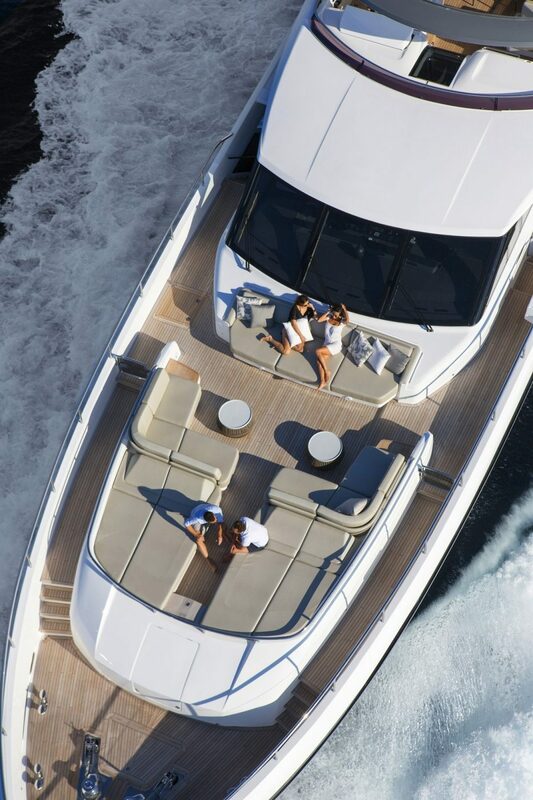 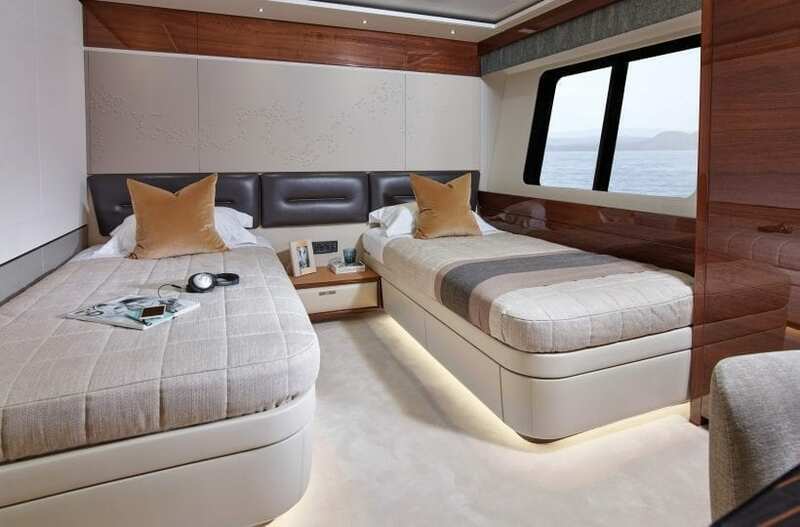 With a spacious flybridge, alternative seating and sunbathing area on the foredeck and an innovatively designed aft cockpit and transom area which has been designed to create an informal ‘Beach Club’ feel there is also ample space to enjoy life on deck. 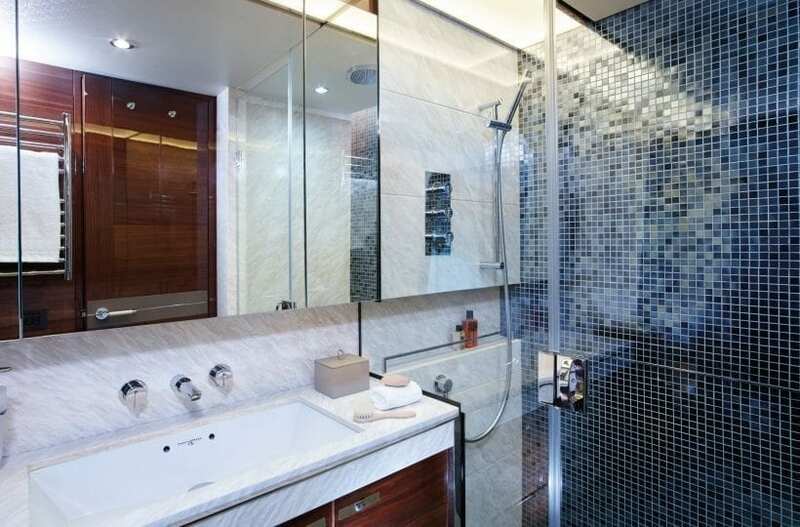 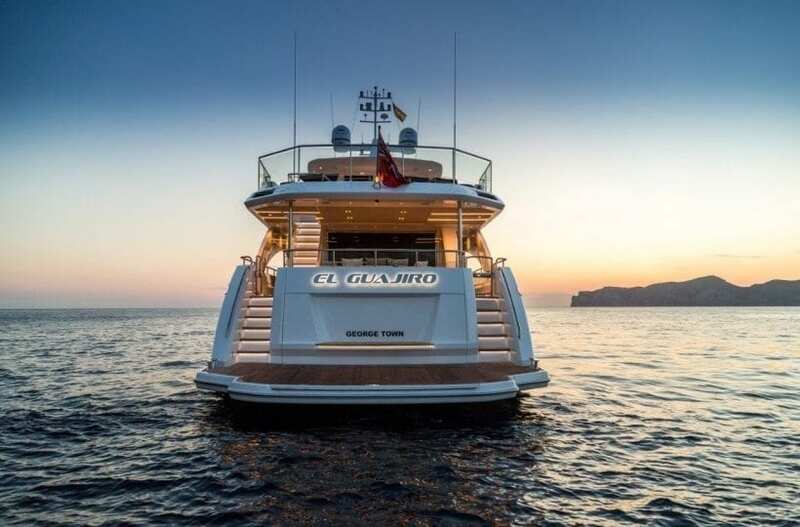 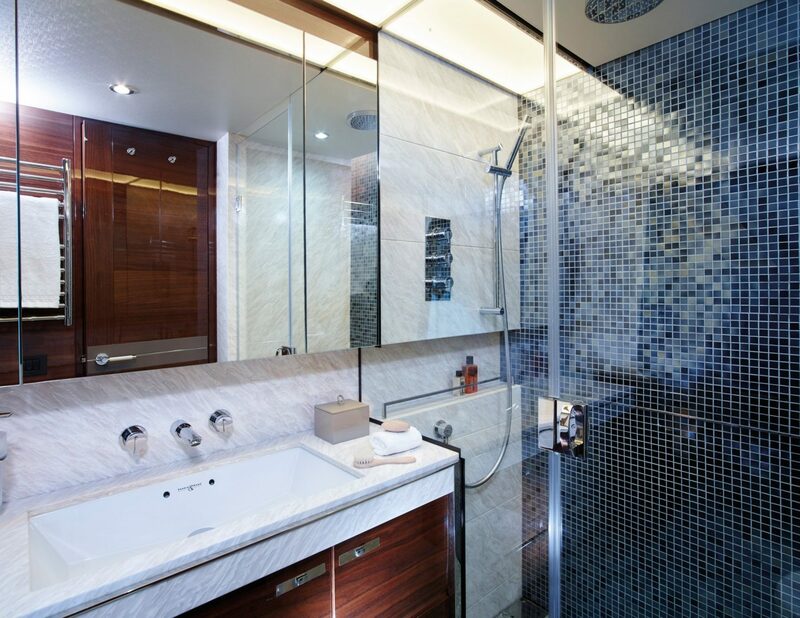 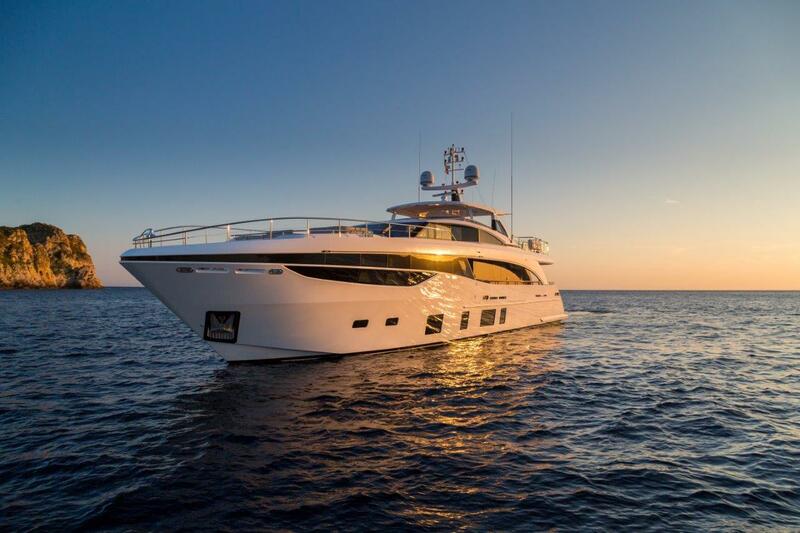 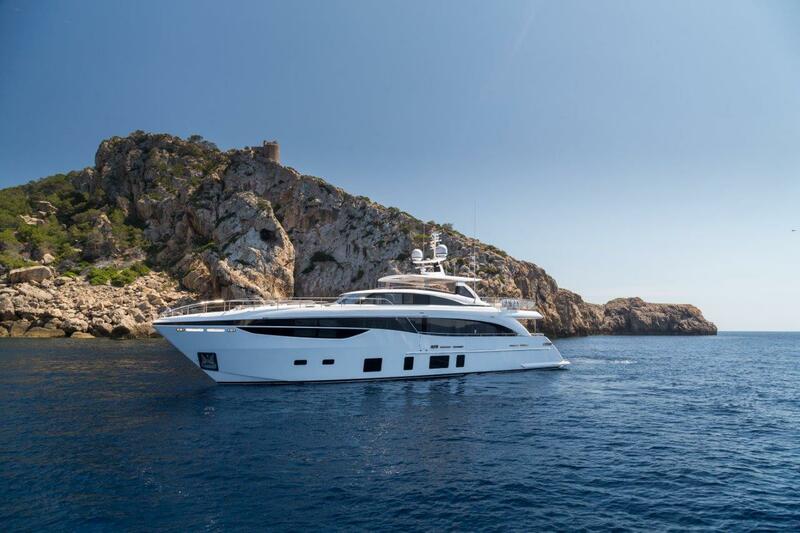 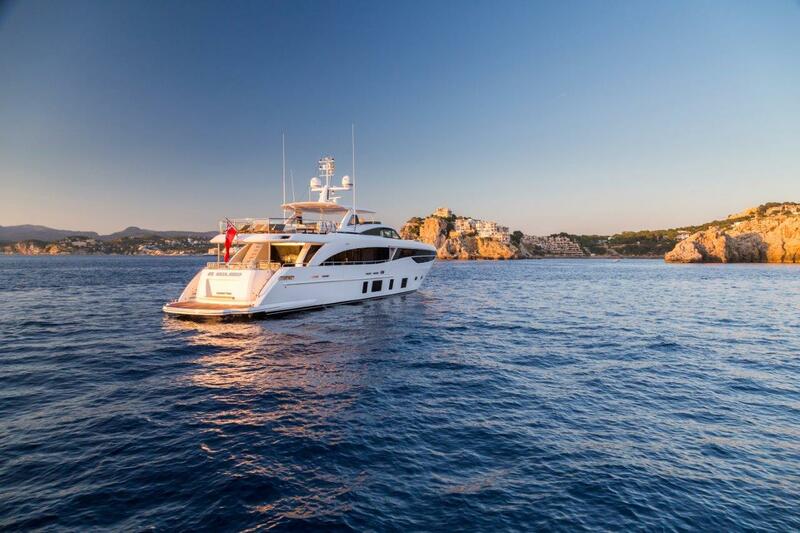 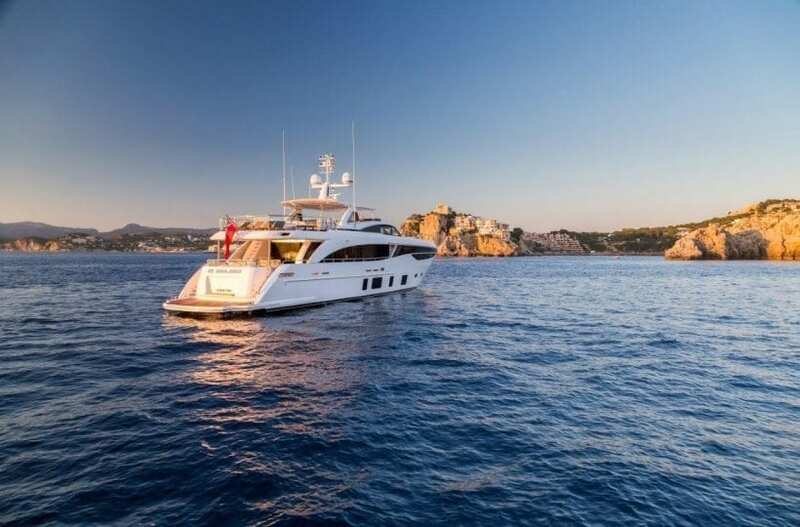 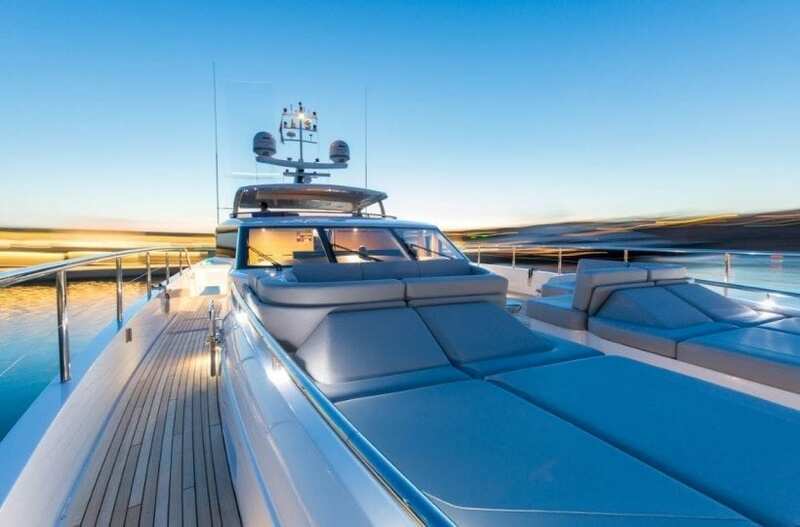 A sizeable gross tonnage of 243gt the new Princess 35M provides exceptionally generous accommodation, relaxation and entertainment areas throughout. 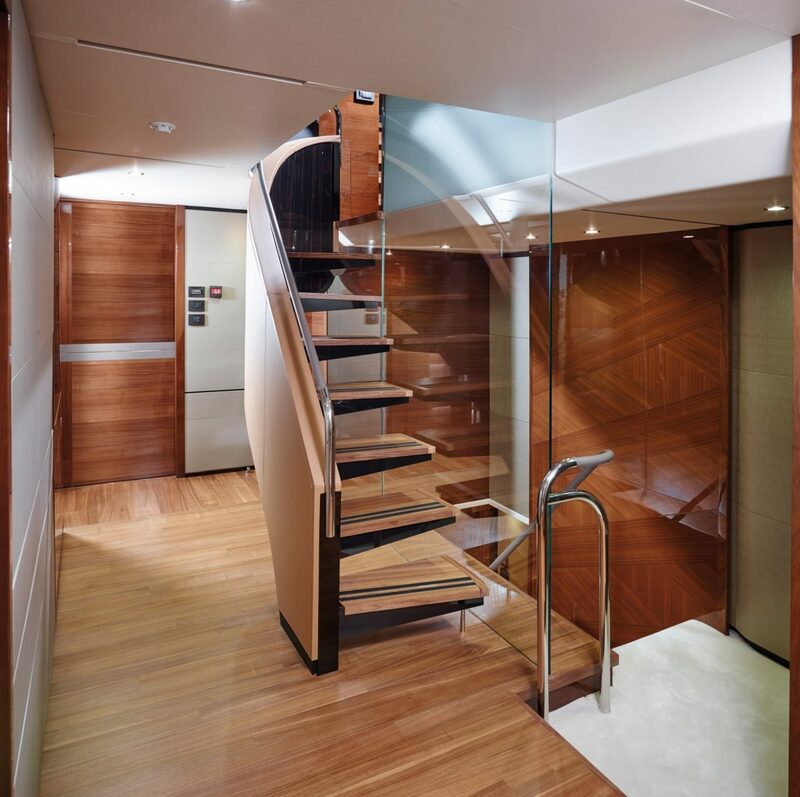 Full height windows to port and starboard in the vast saloon create a wonderful sense of space and light and can be enhanced with hydraulically folding balconies with sliding doors on either side. 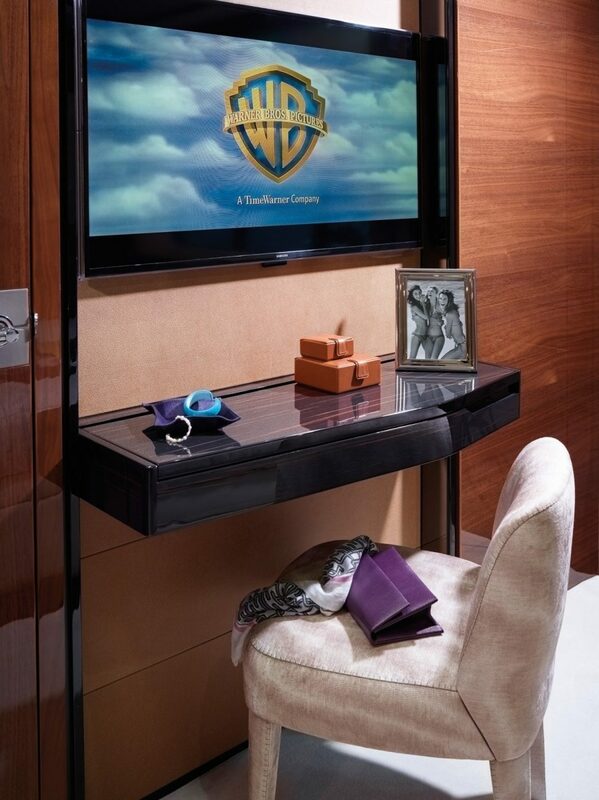 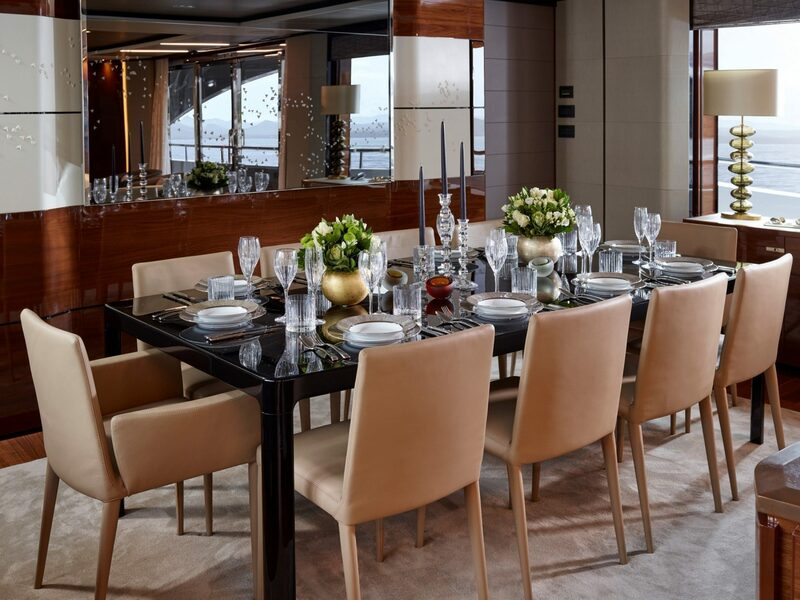 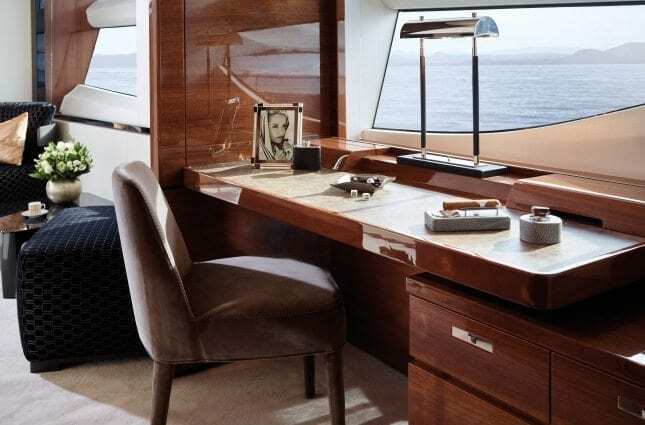 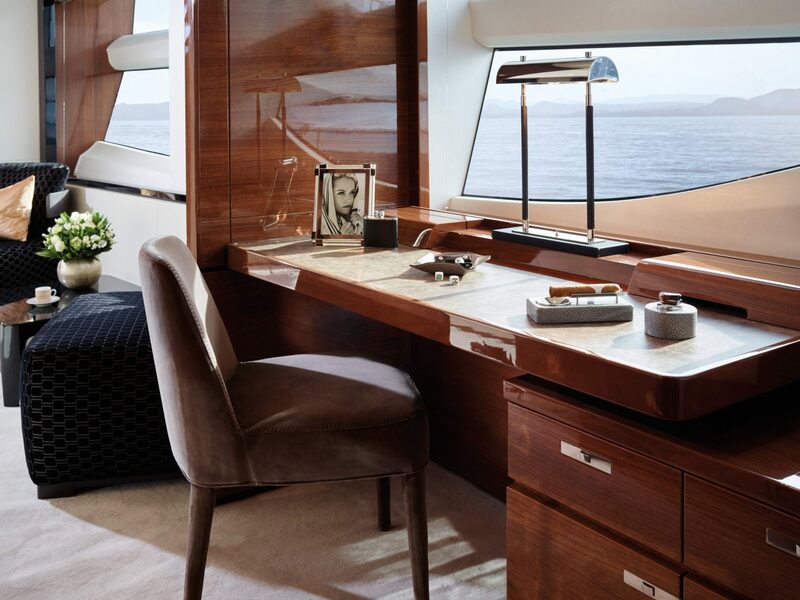 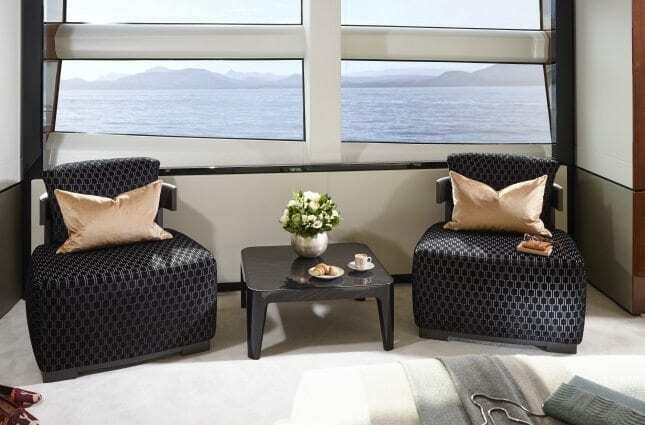 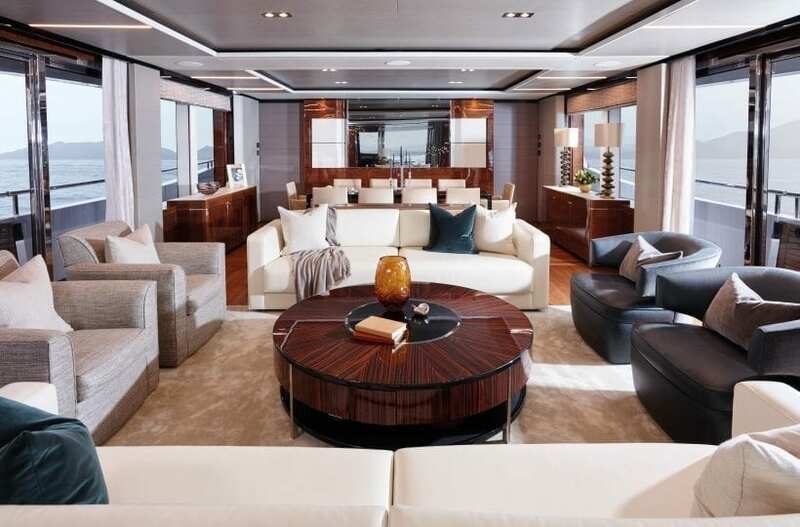 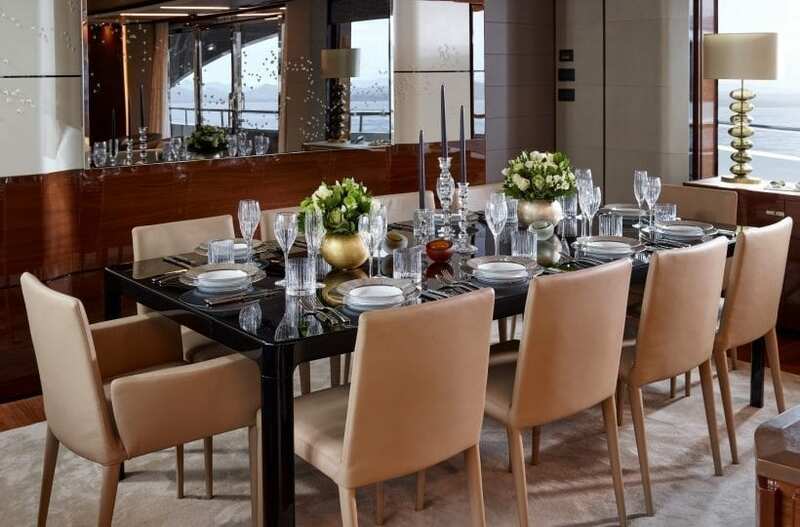 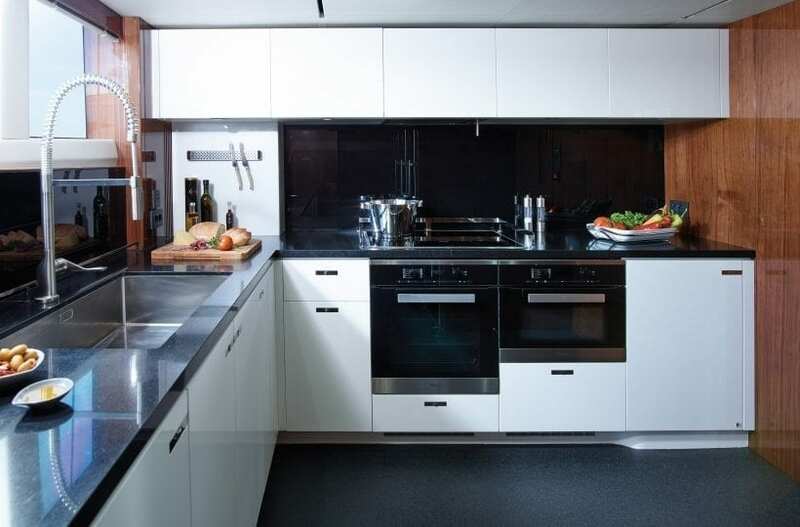 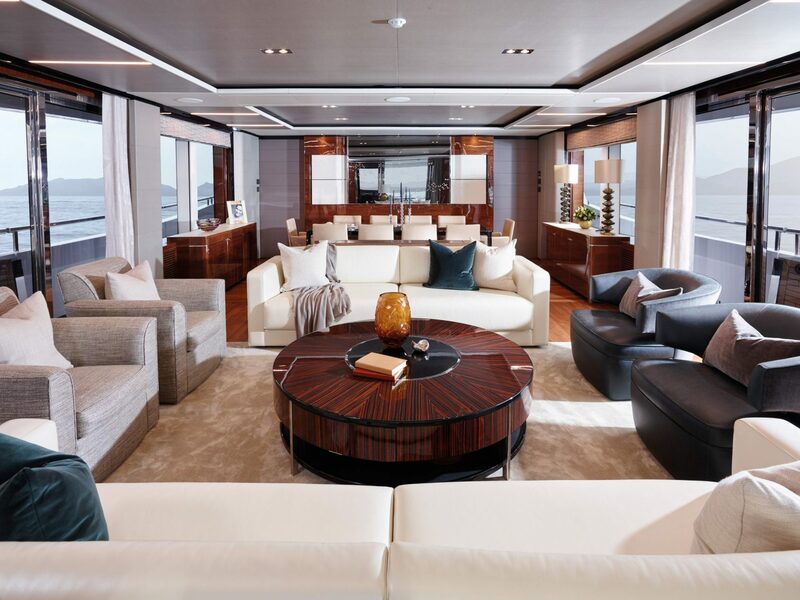 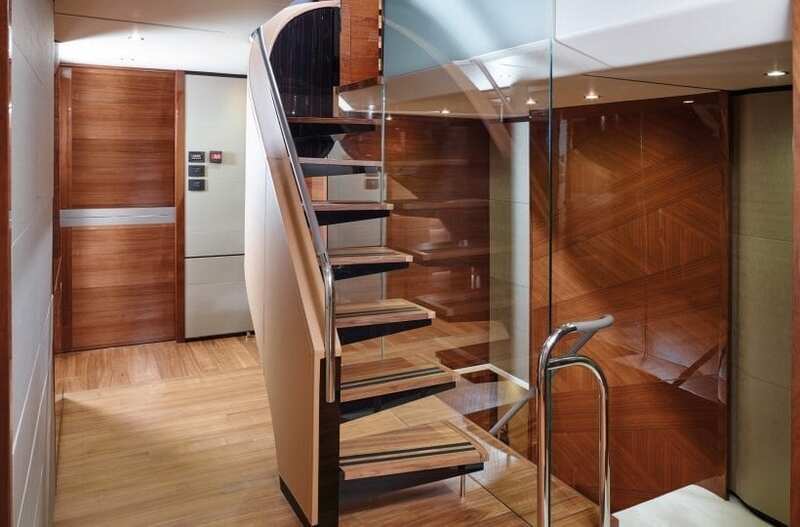 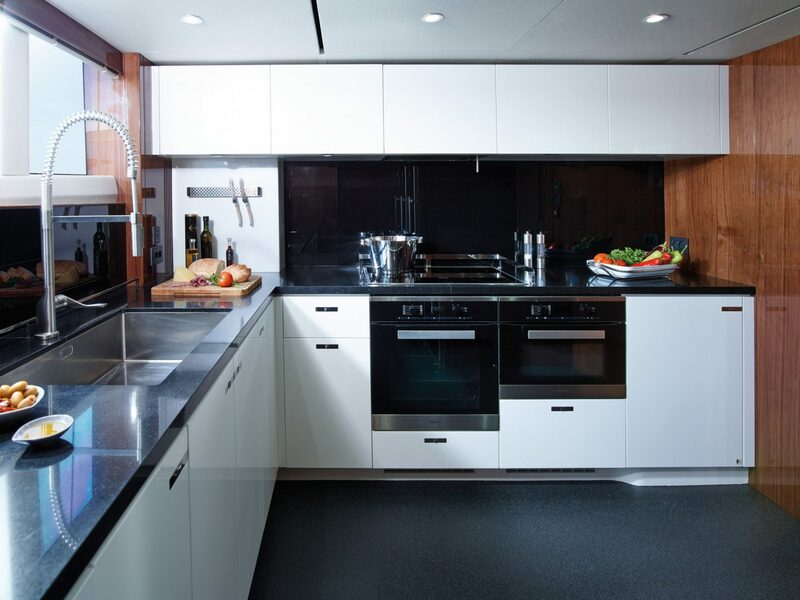 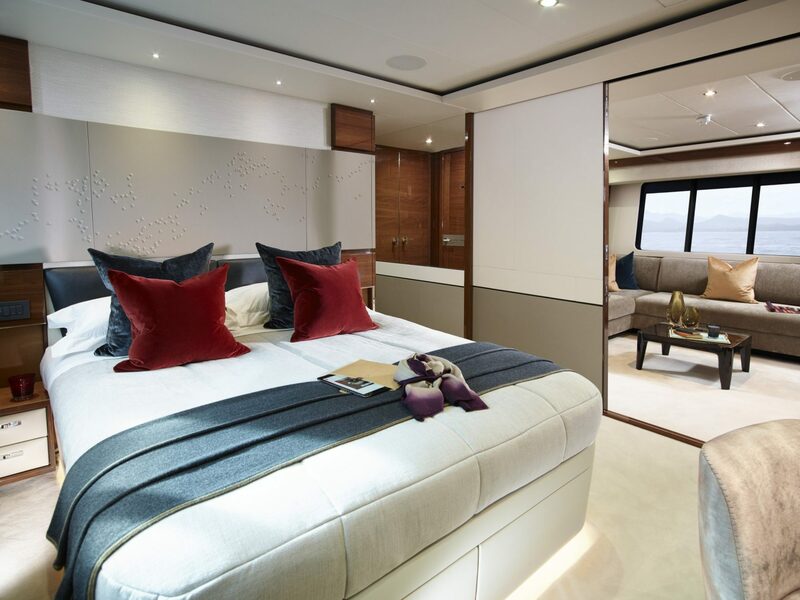 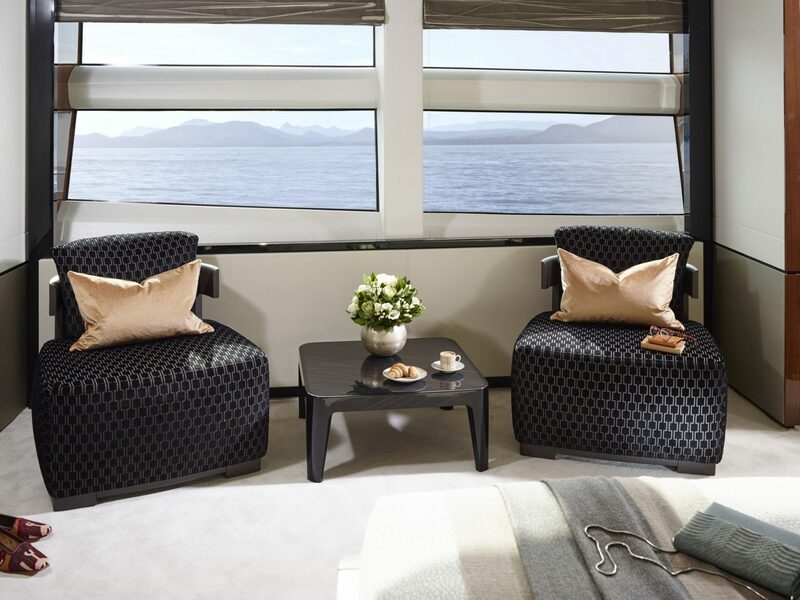 Below decks the flexibility of the design also affords the owner the opportunity to choose from a number of different layouts.